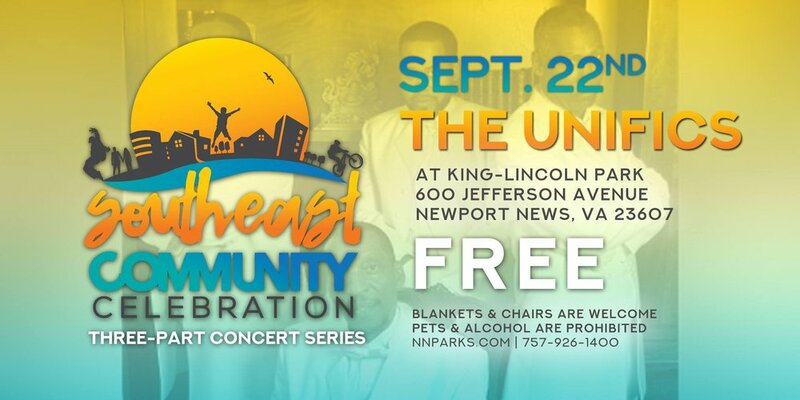 Join us for part three of this three-part concert series, brought to you by the City of Newport News Parks, Recreation, and Tourism Department. We are excited to have an opening set from DJ Moby, followed by a performance from The Unifics! This concert is free and open to the public. As the sun sets earlier in the afternoon, this show will begin at 5:00 PM on September 22nd, 2018. For more information, please call 757-247-8950!